Darren was little upset with some unfortunate personal emotions but he didn’t let that prevail over his game. He was playing against Indian player Pushpender Singh and in first three frames he crafted breaks of 35, 63 and 42 to take 3 frames lead. Though the fourth frame was little tight but he cleared that too scoring 40 against 21 to win 4-nil. In similar fashion his compatriot Andrew Pagett also registered 4-nil victory over Egyptian player Yaser Elsherbiny. Andrew opened his account with a break of 66 and after that he sent one more similar break in third frame. Lastly he won all four frames having interesting score-line 66(66)-00, 39-08, 66(66)-00, 39-08. 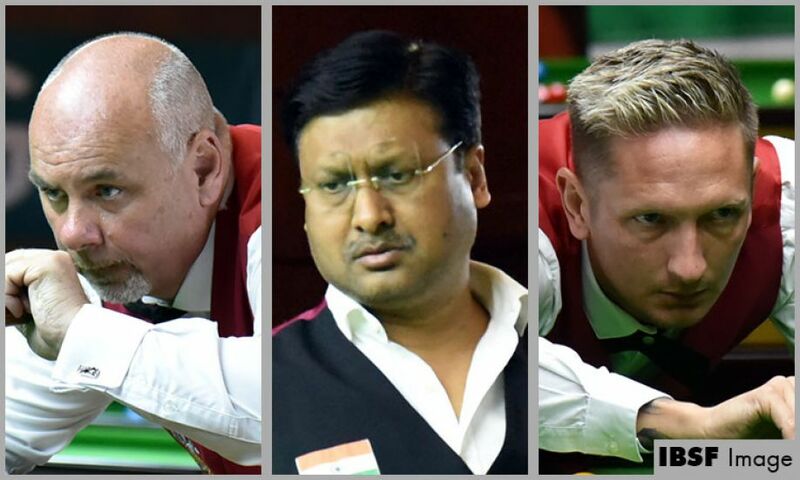 Former Asian Snooker Champion and recent finalist of World Team Snooker Alok Kumar from India kept ashore the strong player from Pakistan Muhammad Bilal. Alok made three breaks of 49, 46 and 49 in first three frames to secure 3 frames lead. By that time Bilal was seen completely dejected and pressure had mounted on him. In fourth frame he had chance to recover but instead of playing slow to pot hanging red, he played bit hard and went out of position. From there onwards Alok started scoring and taken lead with his tactical play. Mid way he also placed couple of snooker to get back on scoring shot and then put himself again for a big break but before he could go for that Bilal shook hands and accepted defeat.